Helloooo :) Day 20 of the challenge--2/3 through it!--and it's all about one of my favourite nail art styles: water marbling! 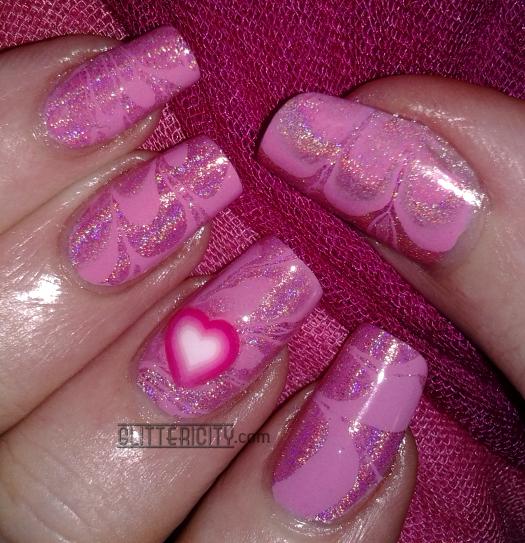 This is actually a relatively simple one compared to my usual marbles--check out the tag on the right side to see more :) I usually do lots of colours and crazy intricate patterns, but for this I did a simple flower petal marble and just two polishes, both by Color Club. 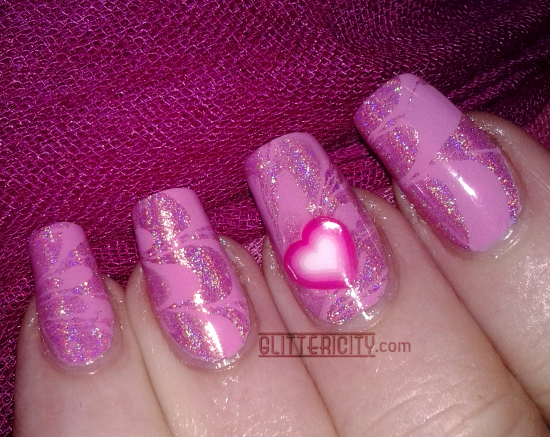 The creme is She's Sooo Glam, and the holo is Miss Bliss. 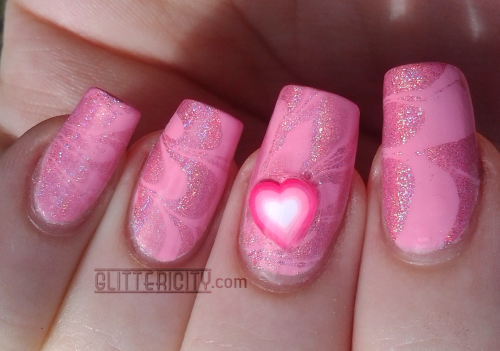 Such a sweet girly look! I learned everything I know about marbling from Colette and Beth, so if you want to know more about this technique, check them out! Colette, especially, does mostly marbles, and has so many good tips and creative ideas. I love both of those channels! 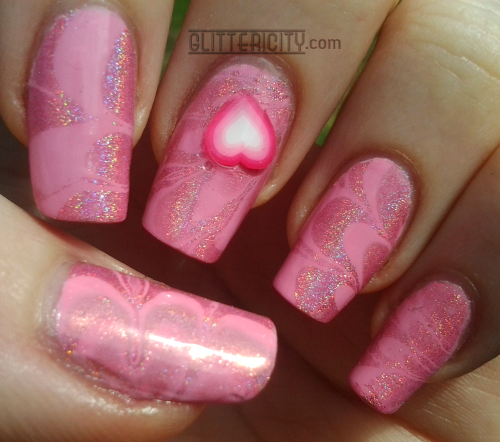 The fimo heart is from Born Pretty Store, and I topcoated these with Seche Vite. Outdoors in sun...ish. Of course the day I use holo is the day it's not very sunny. Another with a bit of sun. Cuticles look a little on the rough side here, sorry. Since I wasn't able to get any blindingly beautiful full-sun photos today, here's another indoors to make up for it.